On November 19, 1863, U.S. President Abraham Lincoln delivered what would become one of the most famous speeches in American history: the Gettysburg Address. Lincoln spoke for only three minutes near a battlefield in Pennsylvania where an estimated 10,000 men perished. His speech consisted of just 272 words, including the statement that the “world will little note, nor long remember what we say here.” Little did Lincoln comprehend the impact his words would have throughout the world. In honor of this remarkable speech, LDS Living gathered some interesting facts about Abraham Lincoln and his interactions with the Saints. For example, did you know that on November 18, 1861, Lincoln asked the Library of Congress to send him a copy of the Book of Mormon? He also requested three other studies of the Mormons in an effort to understand the Saints better. 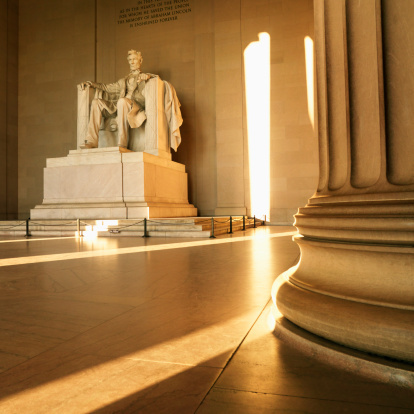 Click here to read five more facts about Lincoln and the LDS Church and to read trivia about the Gettysburg Address. With Thanksgiving right around the corner, this video couldn't be more timely--or more touching. Watch as a sweet, elderly fruit farmer shows through example how gratitude is a way of life, not just a holiday we celebrate once a year. The LDS Living chili cook-off winners have been announced! Our chili champion is this beautiful and delicious White Chicken Chili! Get the recipe, or pin it for later. If chicken isn't your thing, don't forget to try our second and third place winners: the hearty Smokey Bacon Chili and seasonally inspired Pumpkin Chili. For young Mormon couples, this compliation of marital advice and encouragment from latter-day leaders is a great resource of inspiration and love. We loved this meme, made from an Elder Richard G. Scott quote: "Express gratitude for what your spouse does for you. Express that love and gratitude often. That will make like far richer and more pleasant and purposeful." And if you're not one of the married majority, don't worry--this week also brought us some other faith-promoting memes you might want to check out as well. November 22 is a day Americans will never forget--it marks the assassination of beloved president John F. Kennedy. Overshadowed by that tragic event was the more quiet passing of famous christian author C.S. Lewis. This week was fifty years since the world lost these two amazing men. In addition to the many stories and features written for Kennedy, in memorandum of Lewis, despite the fact that Lewis himself was not Mormon, many LDS outlets have been celebrating his life and musing on why Mormons love him so much. Certainly, his eloqence is moving for the Christian world at large, but many argue the profound effect Lewis has had on Latter-day Saints in particular. Even President Benson once quoted him across the pulpit along with many others before and since. We especially love his simple and moving language, as he demonstrated in this beloeved quote: "I believe in Christianity as I believe that the sun has risen. Not only because I see it, but because by it I see everything else."